Oak Electrical carry out electrical maintenance and breakdown cover 24 hours a day - 7 days a week to service the needs of our clients. Maintenance programmes are available on request for clients in the retail, leisure, commercial and industrial sectors. These also include electrical installations, fire alarm systems and emergency lighting. We have an exceptional reputation for customer service. We maintain this by continually investing in our own fleet of vans and extensive stores so that we are able to respond rapidly to any situation. Oak Electrical carry out electrical testing to suit the needs of individual clients. 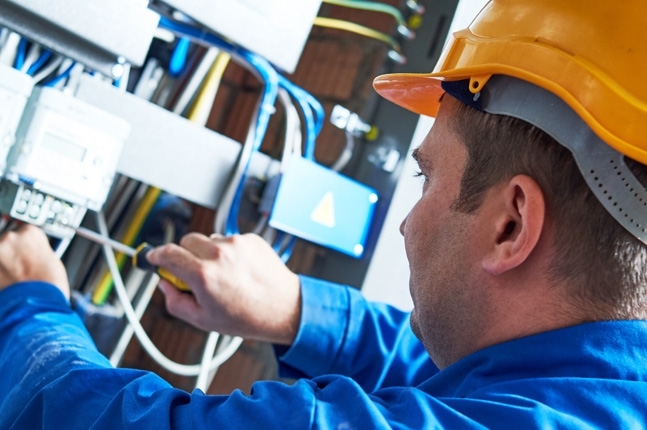 We offer testing programmes which include electrical installations, fire alarm systems to BS 5839, emergency lighting to BS5266 and portable appliance testing. An approved member of the National Inspection Council for Electrical Installation Contracting (NICEIC) we issue certificates and reports for work done and associated with, electrical installations to BS 7671.